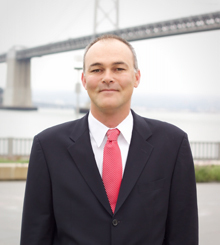 Mr. Southwick joined the firm in 2006. His litigation practice focuses on marine and landside cargo subrogation, as well as defense of freight forwarders, carriers, terminal operators, manufacturers, maritime contractors, and the owners and operators of private pleasure craft. Mr. Southwick also acts as coverage counsel advising insurers on coverage under hull, P&I, cargo, MGL, and freight forwarder legal liability policies. Mr. Southwick is licensed to practice before all state and federal courts in California, and has enjoyed substantial success before both benches, including obtaining judgments in his client’s favor via both motion and trial practice. Super Lawyers Magazine has named Mr. Southwick a "Rising Star" in the field of transportation law every year since 2012. Mr. Southwick is a California native and attended the University of California for his undergraduate and graduate degrees. While in law school, Mr. Southwick clerked at the United States Court of Appeals for the Ninth Circuit Staff Attorney’s Office. He also served on Hastings’ Moot Court board, receiving awards in several national competitions. Falvey Cargo Underwriting, Ltd. v. Mainfreight, Inc., 759 F. Supp. 2d 1195 (C.D. Cal. 2010). "Apportioning Subrogation Proceeds Between Underwriters and Assureds" London Market Marine Insurance Seminar , UK , October 2011. "Complications With Additional Insureds Under Marine General Liability Policies" San Francisco Marine Claims Luncheon, October 2007.